I mentioned earlier that I'm adding natural elements to my Christmas decor. 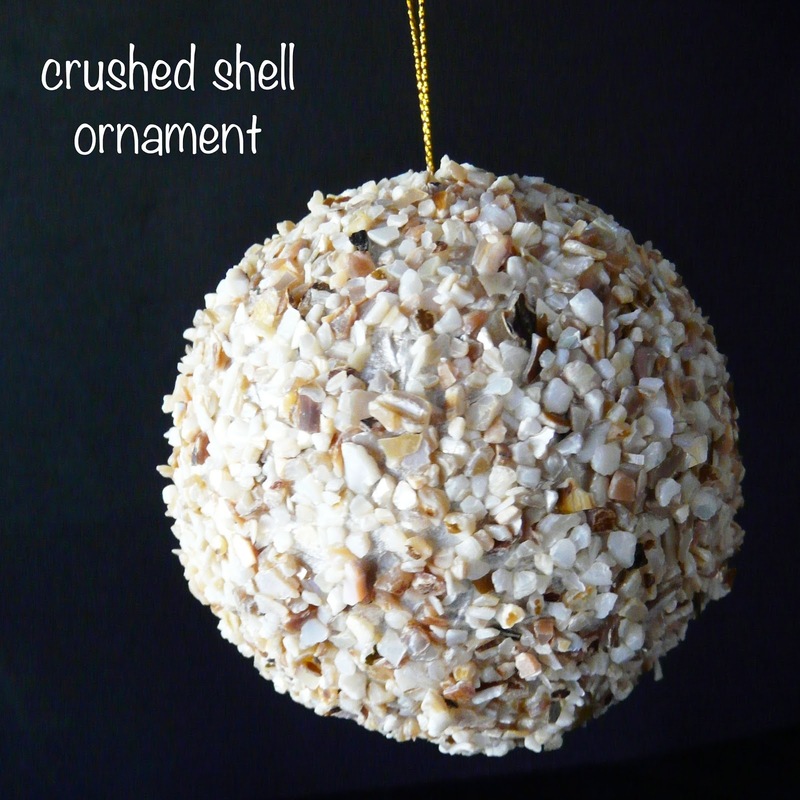 Crushed shells are an easy way to add color and texture while still having a gleam that makes it holiday-worthy. It's not exactly glitter, but when it catches the light it seems to glow. 2. paint with mother of pearl paint and let dry. 3. crushed shell vase filler. i used the smaller size shells for this project. 4. pour crushed shells into an empty box (I used a shirt box). 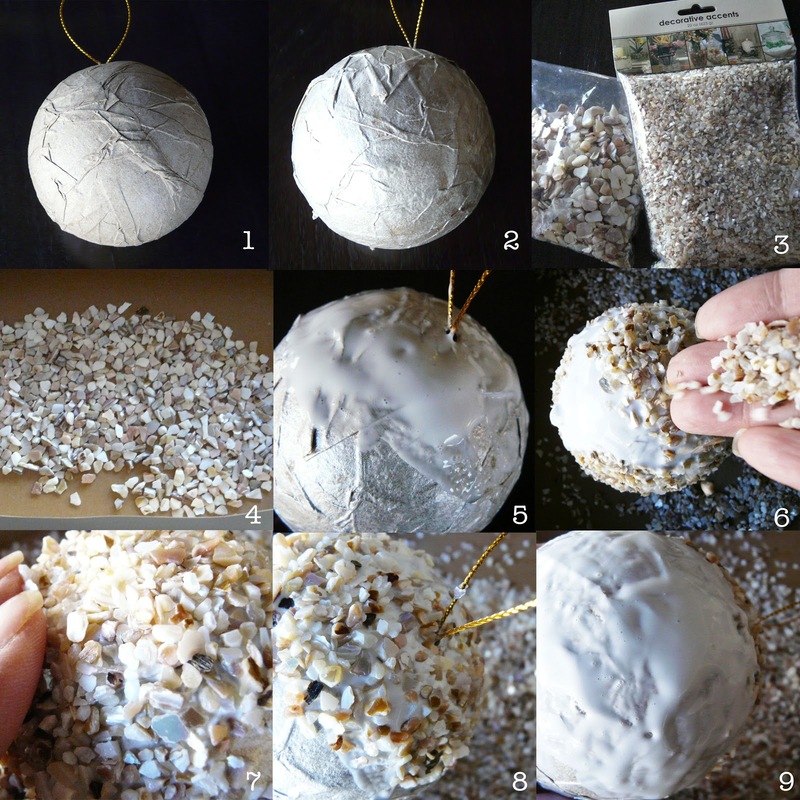 5. generously apply mod podge to ornament in small sections. i used a foam sponge to apply the glue. 7. and gently press them in. 8. fill gaps with more mod podge and apply more shells, pressing in gently but firmly. 9. move on to the next section until the ornament is completely covered in shells. let dry overnight. 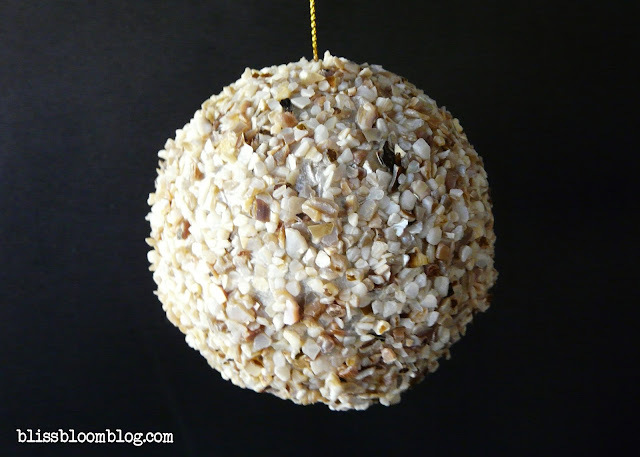 Another Ornament Tutorial Coming Soon!